Patient transfer service for the Lower Mainland (Pemberton to Hope), up to one days drive from Vancouver. Transfers are available in Lower Mainland and Fraser Valley 24 hours a day, 7 days a week. Patient transfer service in Victoria and Vancouver Island. Patient transfer service in Kelowna ,Penticton, Oliver, Vernon, Salmon Arm and Kamloops. 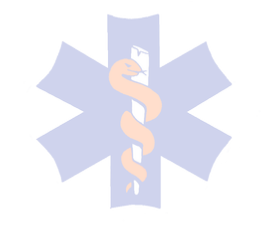 Stretcher Transfers: $80.00 + GST each-way, unlimited kilometers within the Lower Mainland and Fraser Valley. Wheelchair Transfers: $45.00 + GST each-way, unlimited kilometers within the Lower Mainland and Fraser Valley. Extra Care and Wait Times: Any waits over 1-hour is $25.00, and every hour after that. If you require us to stay with you during a procedure, the rate is $25.00 per hour. *​Prices are subject to change. Please contact us for any transfers outside of the Lower Mainland and Fraser Valley. St. John Ambulance offers a variety of billing options.